It's been a bit of a strange weekend around Supernatural Central. I've been nursing a cold, using the time off to check through the audio of a recent paranormal investigation, re-connecting with some like-minded peeps, and feeling saddened by the death of a radio veteran, Art Bell, on Friday the 13'th of all days. Very fitting for him, if you listened to him at all. So we're heading into what may be an active week. 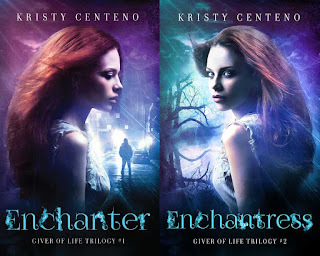 And here to keep us rolling through this week is author Kristy Centeno. 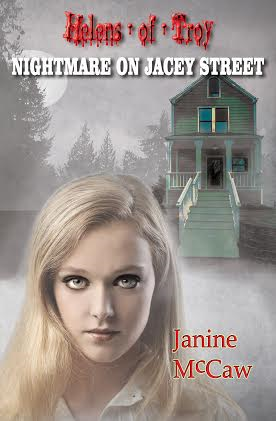 KC: Leah Parker is a twenty-one-year-old college student who has a traumatic past. Like most people her age, she’s trying to put herself through college while holding down a job. She’s self-sufficient and hardworking. But her life takes a complete turn in a matter of days, she finds herself having to give up her happiness and hurting the one person she wants to protect the most. Leah is proud and stubborn, but she’s also loyal. Despite all the negative thoughts about herself, she tries to do the right thing even if she made so many mistakes growing up she wishes she could redeem herself for. KC: She’s definitely far from perfect and has her quirks, but her dedication and determination are what I admire about her the most. She does what’s right even if it costs her everything she cares for. KC: I don’t believe in the paranormal, but it fascinates me, which is why this is my preferred genre to write. SC: I hope someday you have an experience that changes that. What titles are you working on now that you can tell us about? KC: I just finished the third installment to the Giver of Life trilogy this past March. It will be released in January. I’m hoping I can get back to working on the third book in the Deliverance saga, which is already over 20,000 words in. However, it’s gotten to a slow start due to my busy schedule. Defiance will follow Kristina as she is abducted and imprisoned by the infamous Radcliff Institute and is forced to undergo a series of experiments.